Before ART arrived to keep watch! 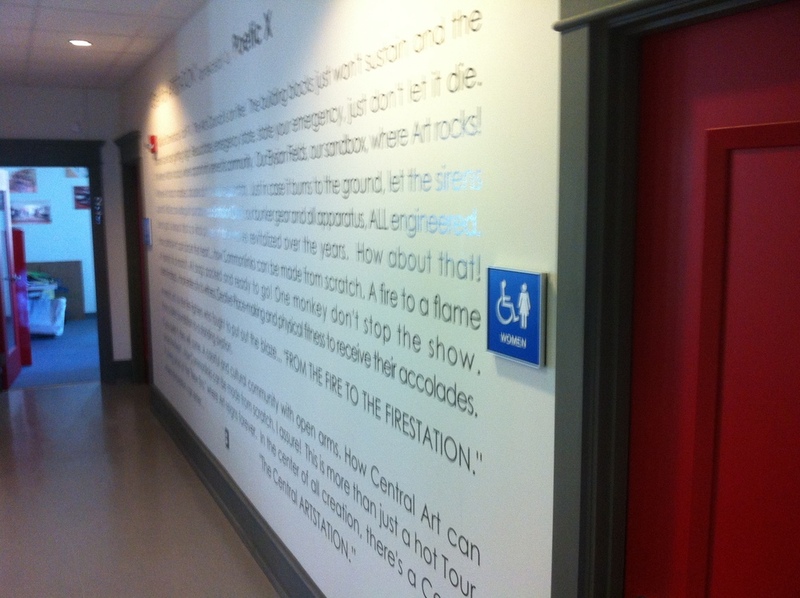 In February 2012, SRAC moved into the state-of-the-art, Arts-designed and furnished Central ARTSTATION with Artist Resource Center, an Exhibition Gallery, Entrepreneurial Training Center and Engine Room, a multi-use black-box style performance space. 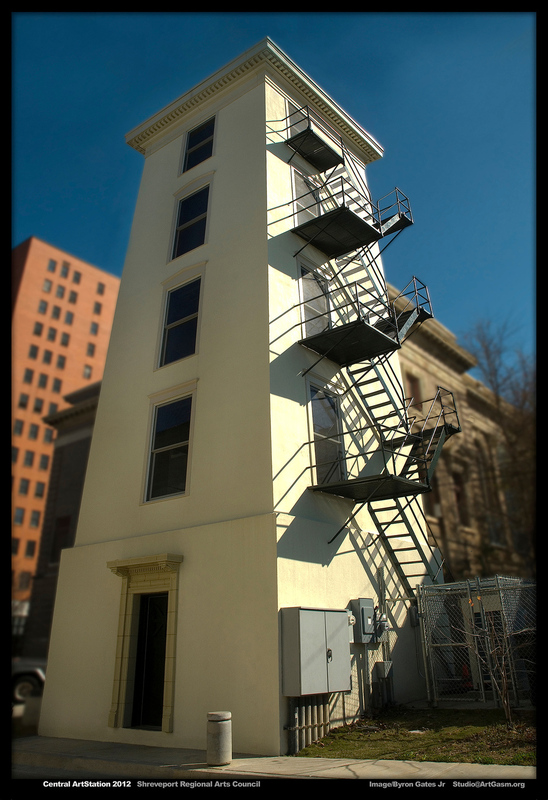 The former Central Fire Station was restored to its 1922 historic grandeur. Commissioned artworks such as lighting, conference tables and a reception desk create a fun and exciting atmosphere. 65% of the Central ARTSTATION is designed for artists and community. Central ARTSTATION Arts Business Resource Center, features the ROCCO LANDESMAN ARTWORKS Room; a first floor, easy-access, Arts, Business and Resource center for NWLA artists and Arts organizations. The center is managed by two fully-dedicated staff members who provide hands-on assistance with grant writing, Artist Entrepreneurial Training, Pay-it-Forward opportunities and joining the Northwest Louisiana Artist Directory. The Arts Resource Center includes six workstations equipped with computers, business and design software, high speed WiFi internet, layout tables, multi-line telephone system and a resource library. If you are an Artist and you would like to hook up to these resources, find out about Public Art calls please come visit us between 9am - 5pm weekdays. Appointments are preferred and can be booked by calling 318-673-6500 and asking for Tiana Kennell, Arts Resource Center Coordinator. The Central Artists’ Gallery greets all visitors with high ceilings, artist-commissioned and gallery-quality lighting and reception desk, and permanent picture hanging hardware. The gallery features monthly exhibits by NWLA artists, including graduates of the Artist Entrepreneurial Training program. Three first-floor rooms create a continuous gallery, event space, or three separate spaces. The gallery can be rented by artists for exhibits for a nominal fee or through the SRAC Pay-it-Forward Program. If you are an Artist and would like to enquire about booking the Gallery space, please call 318-673-6500. If you are an Arts enthusiast and would like to be the first to know about upcoming exhibitions, like SRAC on Facebook or send an email to info@shrevearts.org asking to be put on the email newsletter list. The first-floor conference room has tall ceilings, natural light, and ample wall space, making it appropriate for meetings and training of up to 15 people. It includes an artist-designed conference table, chairs, set-up table, internet connection, digital projector, remote control ceiling-mounted screen, white board and flexible gallery-quality lighting. Chief Dallas W. Green Conference Center accommodates 50 people in various configurations. Featuring natural light from the wall of windows, modular conference table and chairs, digital projector, remote control ceiling-mounted screen, and a small coffee bar, the room is used for convenings and classes, including the Arts Entrepreneurial Training Classes. If you would like to enquire about hire of either conference room, please call 318-673-6500. When surveyed, one of NWLA Artists’ greatest needs was for affordable rehearsal and performance space. The 4,000 sf Engine Room is located on the lower floor of the Central ARTSTATION. 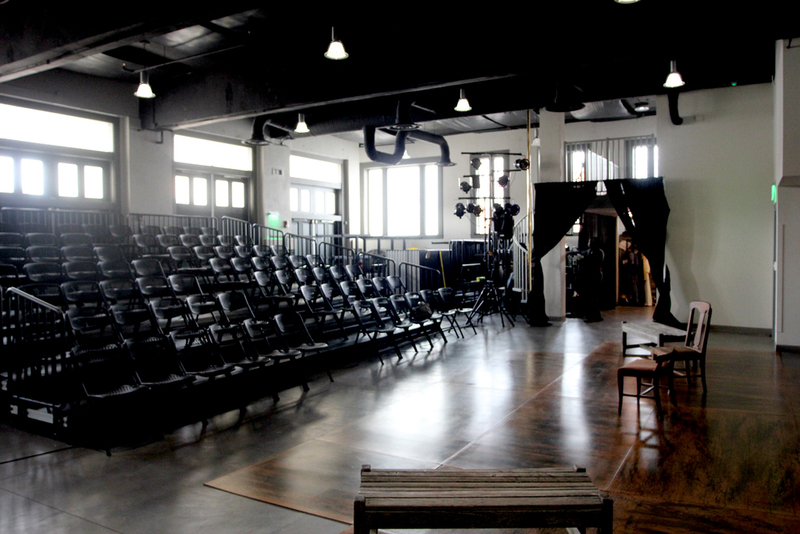 It features 2,500 sf performance/event/exhibition space, 16’ ceilings, a theatrical lighting grid, balconies, tech booths and a production office, making it perfect for all genres of special events and performances including Theatre, Dance, Music, Film, Literary and Multi-Media Arts. A portable riser system allows flexible stage and seating configurations including proscenium, thrust, in-the-round and cabaret styles. 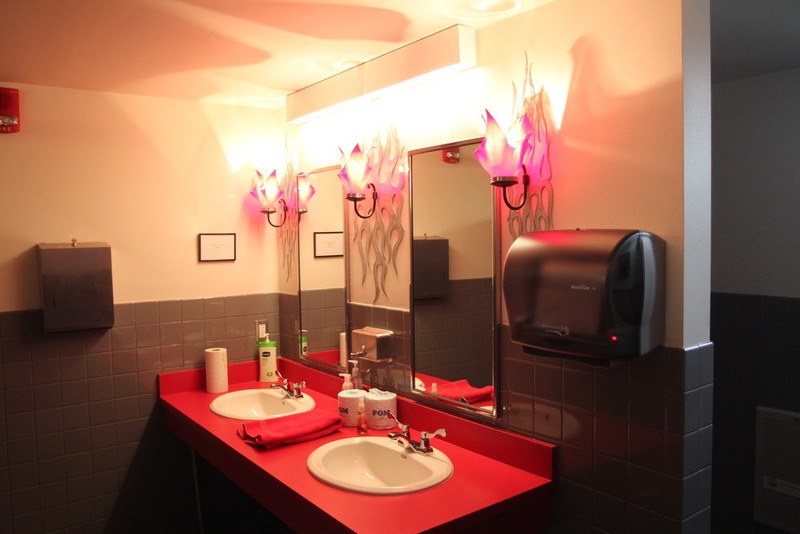 Dressing room with toilet, fully-equipped prep kitchen with direct outdoor access and ADA compliant public restrooms are provided. Five historic doorways open to Crockett Street to create indoor/outdoor opportunities. If you would like to enquire about hire of The Engine Room for a performance or function, please call 318-673-6500.
j. RYAN McCUTCHEON & STEVE CULP | Exclamation Mark!